The developer conference code.talks took place on October 9th and 10th right here in Hamburg. 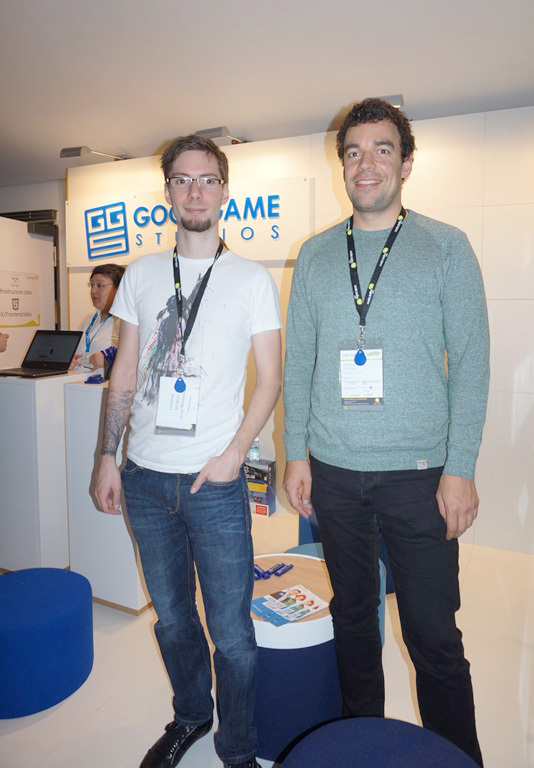 Goodgame Studios attended the event as a platinum sponsor with a large stand including a foosball table, sitting area, and iPads for playing Empire: Four Kingdoms. There was also a GGS raffle which awarded a Playstation 4 to one lucky winner. 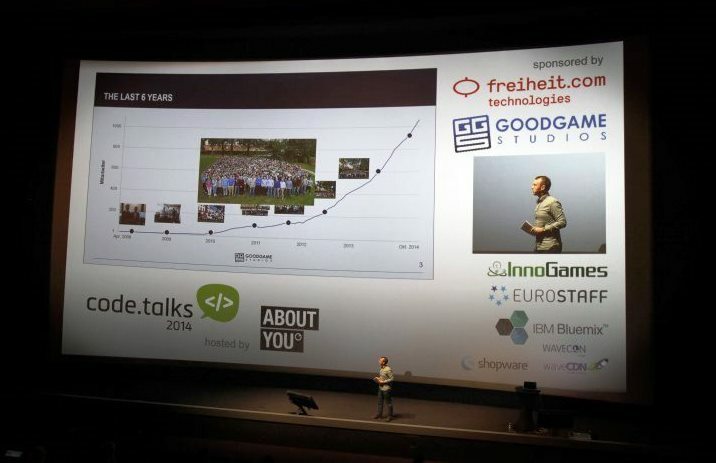 Our CTO Stefan gave a presentation called “10 lessons learned while growing from 1 to 1000”. In the talk, he addressed the valuable experiences he’s learned during Goodgame Studios’ five years. His key advice when starting a successful company is to find the right partner and trust that you can build up a start-up together. Stefan then imparted another piece of wisdom from Goodgame Studios’ early days. Back then we developed four games simultaneously, but now our motto is ‘focus’. That is to say, it’s better to develop one successful game than several run-of-the-mill products. At the end of the talk, Stefan shared Goodgame Studios’ secret recipe with the audience: “Hire the right people!” Having the right people in the right positions ensures success and drives the company forward. With the title of “One cloud, 5 continents, 25 million users, NoSql and PHP”, Dennis and Christian from our backend development department offered a look into online shop development at Goodgame Studios. We developed our first online shop in 2009 using PHP 5.2. However, there came a point when this wasn’t enough to keep up with an increasing number of customers and new demands. So then we designed and developed a completely new online shop architecture. One of our main goals in this was to shorten the shop’s loading times in order to increase the satisfaction of our 25 million customers. Both of the talks were very well attended, and we’re always happy to see so many experts in their fields interested in our company.